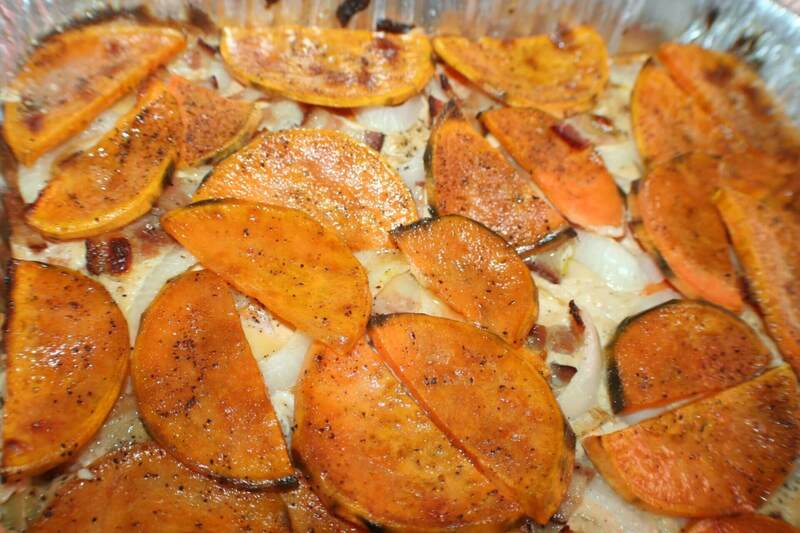 Layer seasoned sweet potatoes in 9.5×13.5 baking dish. Combine cream cheese, Worcestershire, heavy cream and hot sauce and Microwave mixture for 30 seconds. Pour half of mixture over potatoes. Layer onions, bacon, apples and slices of Gouda. 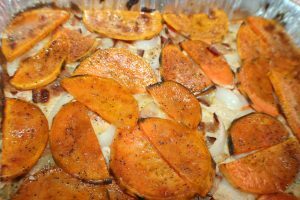 Repeat and finish with a top layer of seasoned sweet potatoes. Bake covered at 375° for 45 minutes or until potatoes are fork tender.